What Do You Want To Get Out Of Your Journey? 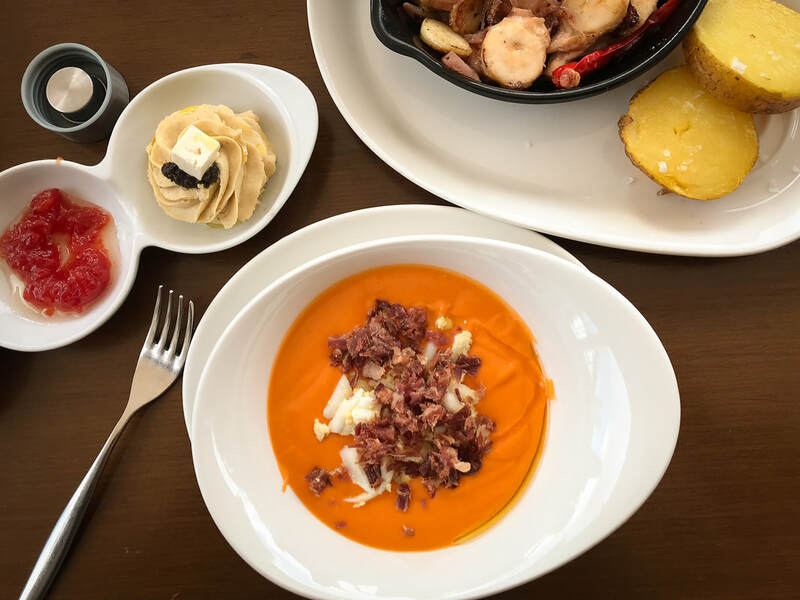 For the first dozen years, whenever I told American friends that I’d moved from Cleveland, Ohio to Seville, Spain, I usually received indulgent smiles (“Of course you did! Who wouldn’t, given the choice?”) or the blank stares of those who clearly believed I was deranged (“Leave home? To live among strangers? Really? Why?”). But lately attitudes have changed. These days my email inbox is bristling with requests for practical information about how to leave the USA and settle overseas — preferably somewhere with congenial company, good weather, and affordable wine. Living abroad has been wonderful for me, and I’m delighted to think the idea is catching on with a wider audience. 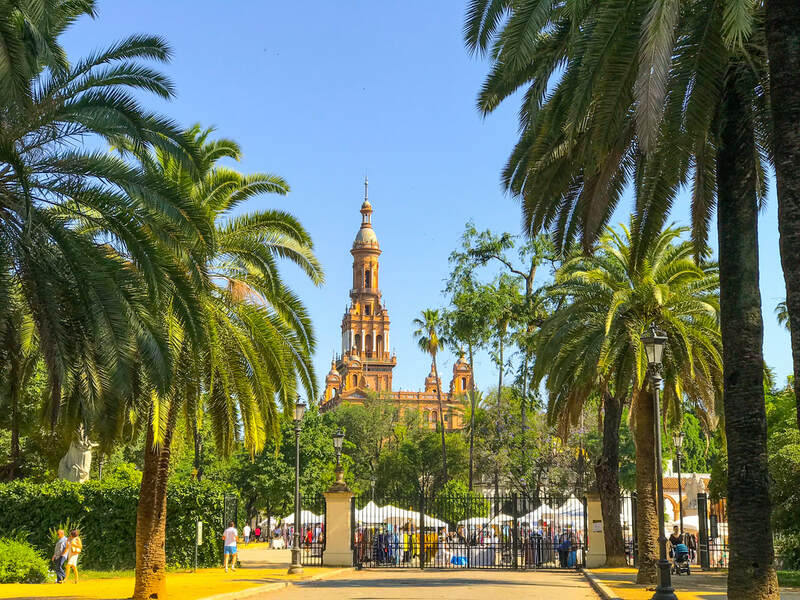 Like most expats, I’m more than willing to pass along what I’ve learned about the process — which is a great deal more than I knew when I arrived in Seville with my husband and dog. In fact, ever since I moved to Spain in 2004, much of my writing life (to say nothing of my personal life) has been spent exploring topics I wish I’d been more savvy about from the beginning, such as how to get a residency visa, find a lost dog in an airport, and leave excess baggage — literal and figurative — behind. I started out writing about the practicalities and logistics but soon found myself addressing larger issues, such as how to create a new life from scratch, preferably one that’s less frazzled, more authentic, and filled with generous amounts of friendship and laughter. While you’ll no doubt make friends with locals too, you’ll likely find that the best place to jump-start your new social life is the international community. People living in a foreign country aren’t surrounded by a network of relatives and lifelong friends, and they know that connecting with others takes time and effort. Many are extremely generous about reaching out to newcomers. They know just how strange it feels to wake up one morning in a new home in a new country with a calendar that’s blank for the rest of your life. While this can be a trifle daunting at first, it’s also tremendously liberating. You get to hit the reset button on your life. Whatever else you may be coping with, you certainly won’t be stuck in a rut, operating on automatic pilot, wondering when the zing faded from your daily round. Of course, relocating anywhere, even across your home town, has its challenges, and being in an unfamiliar culture speaking a foreign language doesn’t make it any easier. At times you may feel as if you’re a character in one of those old screwball comedies filled with absurd misunderstandings and general pandemonium. But no matter how zany the transition may get, you will eventually settle down — and that’s when you’re likely to start noticing how living abroad is enriching your life in a thousand ways you never dreamed possible. Every expat journey begins with an online search, which is why I get so many query letters these days. It’s impossible for me to answer every one in as much detail as I would like, so I decided to collect my three short guides into a single volume that offers potential expats a wide spectrum of handy tips, guidelines, and resources. And speaking of resources, this may be a good time to mention that I don’t accept sponsorships or product placement of any kind, so the goods, services, websites, and other resources mentioned in these books are included solely because I thought you might find them useful in planning your own transition to expat life. This collection begins with an overview of logistics and legalities in 101 Ways to Enjoy Living Abroad: Essential Tips for Easing the Transition to Expat Life. Here you’ll find simple guidelines that can help you decide whether, where, and how to make your move, enable you to avoid some pitfalls and cope with others, and give you the confidence you need to relax and enjoy the ride. You’ll find suggestions for planning the move, house hunting, accessing health care, choosing a bank, tactfully evicting houseguests who have overstayed their welcome, making friends, dealing with culture shock, and learning the language (yes, you can!). Expat life involves plenty of packing, not only when you’re first heading overseas but later for visits back to the old country and for exploring your new country and the world at large. When it comes to hauling around possessions, our motto — and the title of the next guide in this series — is Pack Light. My husband has spent decades working diligently (some might call it obsessively) on ways to whittle down the volume of our luggage without sacrificing comfort or functionality; I insist on maintaining some standards of stylishness as well. During more than three decades of marriage and visits to sixty-plus countries, Rich and I have learned a lot about what clothes are truly essential and which will sit at the bottom of the suitcase unworn. And while we have certainly bought plenty of gear over the years, we have finally mastered the art of resisting the latest "must have" travel gadgets we'll never use — and identifying those that are genuinely helpful. Don’t worry, Pack Light doesn’t suggest that you adopt a strictly minimalist approach, it simply provides ideas for gradually reducing the amount of excess baggage you’re hauling around, so that your journeys become easier and more pleasant. A few months ago, as I was being interviewed for a podcast, I was rambling on describing the benefits of traveling light and somehow got off on a tangent about memorable people I’ve met on the road — the friendly musicians in a Trieste dive bar, that dentist in Zagreb, and the Stockholm “oops” party. It was a morning interview and I was on my third cup of coffee, really picking up steam, when the interviewer finally managed to get a word in edgewise. “Karen, how do you meet all these people?” she asked. I get this question a lot, from both expats and general readers, and while I was answering the interviewer, half my mind was busy sketching out a plan for the third book in this collection, How to Meet People on the Road: A Guide to Forming Friendships in Foreign Lands. My original intent was to help travelers, but as I developed the book, I realized how valuable these tips are for those moving abroad, and I expanded the sections that are particularly relevant to the expat experience. As you explore the question of whether and how to move overseas, I hope you’ll find these tips helpful. Of course, my guides can’t include every possible detail, and if there’s a subject you feel needs to be explored further, or if you have resources or suggestions of your own to share, please let me know by writing to me at EnjoyLivingAbroad@gmail.com. I’m always looking for new material to cover on my blog and to include in future editions of this book. And finally let me just say that moving abroad isn’t as difficult, expensive, or challenging as many people think. Yes, it requires paperwork and packing, an investment of time and money, and the countless decisions that attend any transition. But look what you get for it: a new life filled with wonder. I got my first taste of this kind of wonder when I was a child and my entire family gathered every year to watch the annual showing of the original 1939 Wizard of Oz on TV. The opening scenes, set in Kansas, are filmed in black and white. Then a tornado sends Dorothy’s house flying, and after it lands there’s this spectacular moment when she opens the door and discovers herself in the brilliant Technicolor world of Oz. ​That moment inspired my lifetime of wanderlust. Arriving in a strange land often gives me that same feeling of jaw-dropping surprise and heart-lifting joy. No matter how many times I return to Seville after a visit to my native country, I always feel as if I’m stepping out of the airplane onto that yellow brick road, in giddy anticipation of astonishing adventures just ahead. May you feel that way about going abroad whenever you’re lucky enough to do it.